Annmarie Gianni Skincare was kind enough to sponsor a giveaway of their travel set for one of my readers. This giveaway is only open to US residents! I am sorry international readers, I will have another giveaway soon where you can enter. 2. Leave your email so I can contact you when you win. Please fill out the form below in order to enter the giveaway. Thanks for the giveaway! I've never heard of this brand before but the products look interesting :D I just entered! @Rinny: Thanks for entering! Their products are great! @Jenn: Thanks for the add! I love Ann Marie's Skin Care line! 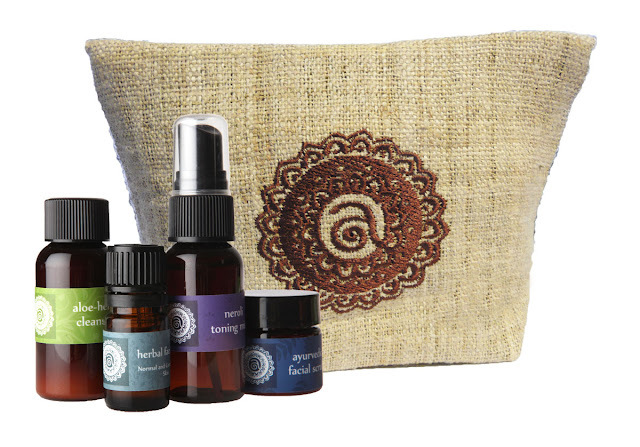 I'd love to own some more products and the cool hemp bag! Thanks for the opportunity! !